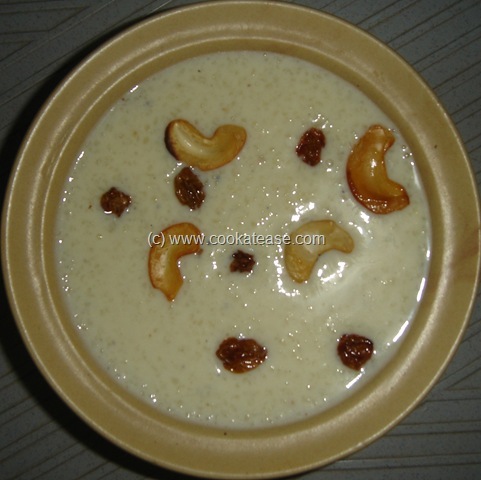 ‘Paal Payasam’ is delicious and can be prepared easily with usually available ingredients at home. It is a traditional dish and is liked by all age groups. Powder the cardamom; in a heavy bottom pan, take some ghee, fry cashew nuts and raisins separately. 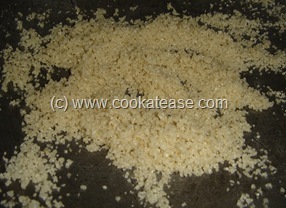 In the remaining ghee, add broken rice rava and fry till golden in colour. 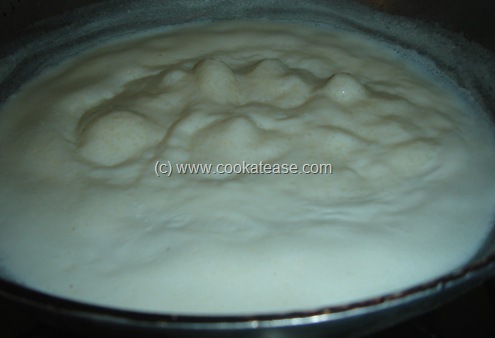 Add milk, water, mix well and bring to boil; cook in low flame till the milk and water mix reduce to half in volume; it takes around 20 minutes; keep stirring in regular intervals. In these 20 minutes, rice rava gets cooked well; add sugar, mix well, cook for 3 to 5 minutes in low flame; adjust consistency as per your choice. 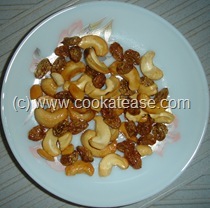 Add cardamom powder and mix well; garnish with cashew and raisins. 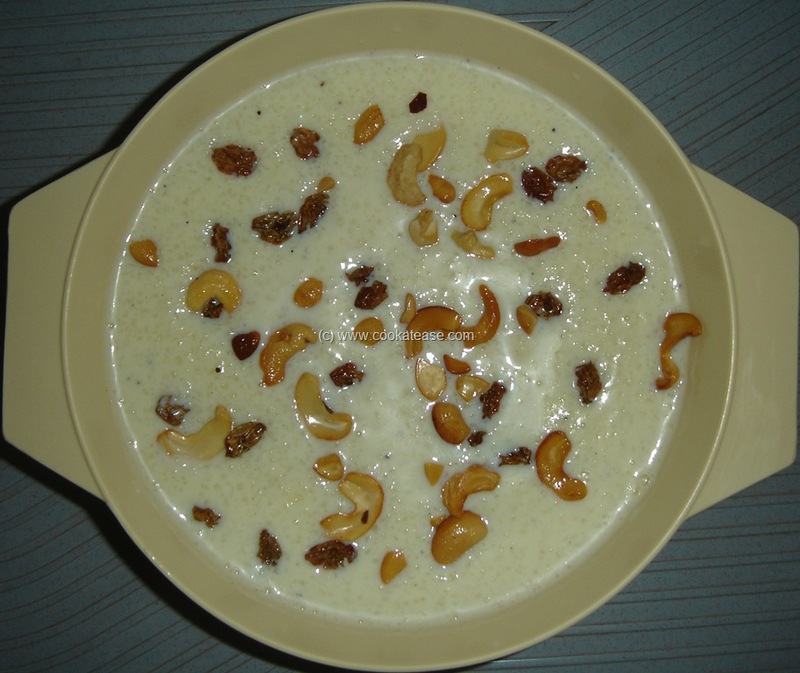 Rice rava cooks easily and you get a creamy texture in payasam. 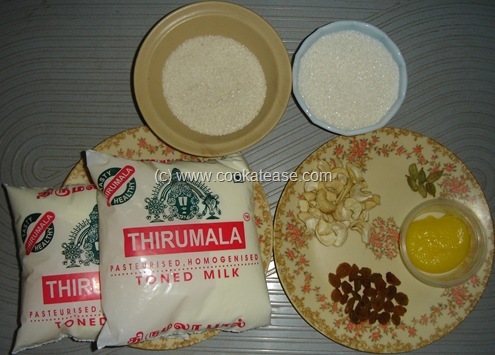 This post is part of “Fall in Love (FIL) – Milk” event organised by Sanghi’s Food Delights! using milk as the main ingredient.